I would love to to hear about other alumni. Just fill out the form here to sign up for Saints@Home. I have some news to share -- please click here. Be sure to join the Alumni Of LHSI Facebook group, too. 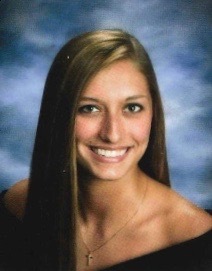 Casey Colgate (LHS 2014) graduated this year from IU Kokomo, where she had played volleyball on a scholarship. She plans to go to grad school. Casey was an assistant coach for girls volleyball team this fall. 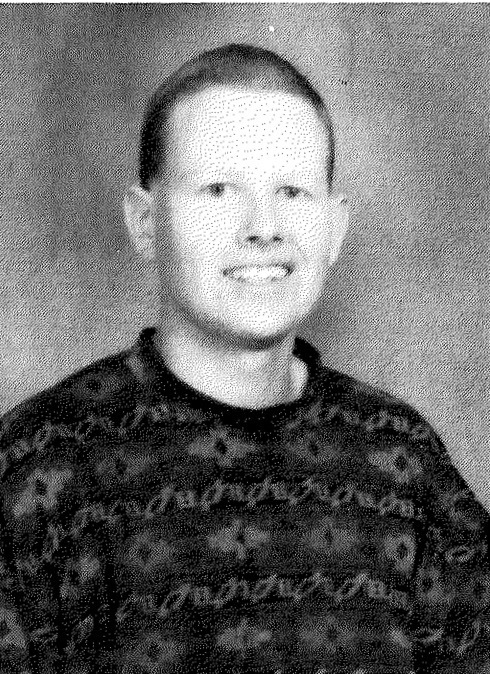 Matthew Oates (LHS 1996) "retired" from Franciscan Health after 18 years. He is now working at Purdue as a senior writer/editor at the University News Service. Matthew says "Hi!" and "Merry Christmas" to all. Jessica Wilson (2015) has qualified for the Division 3 track & field nationals in the hammer throw. 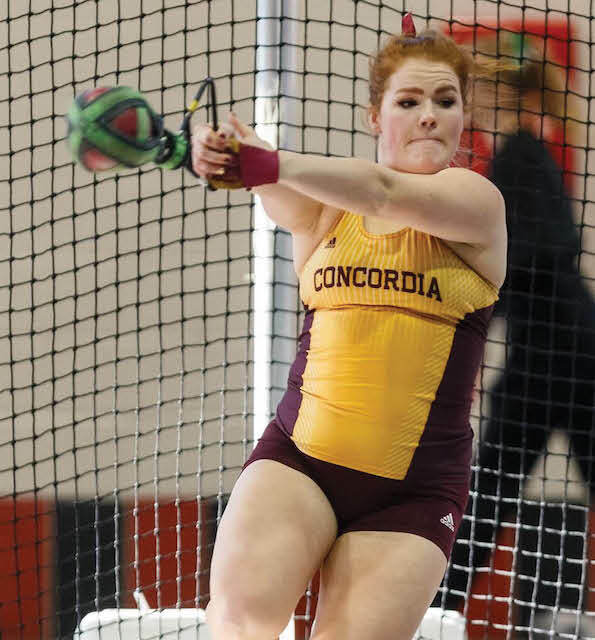 At a recent meet, Jess set a new Concordia University Chicago record with her throw of 172' 5". This put her 15th in the nation and qualified her for nationals in La Crosse, WI this weekend. 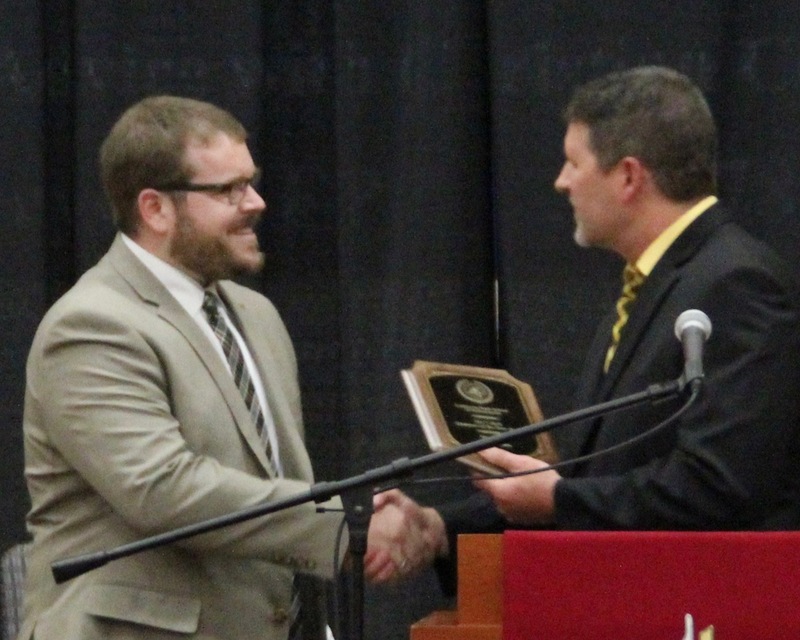 Matthew Riley (LHS 2004) was named LHS Alumnus of the year for 2017-2018 during the Graduation service on May 20, 2018. Matt graduated from Lutheran High School in 2004. 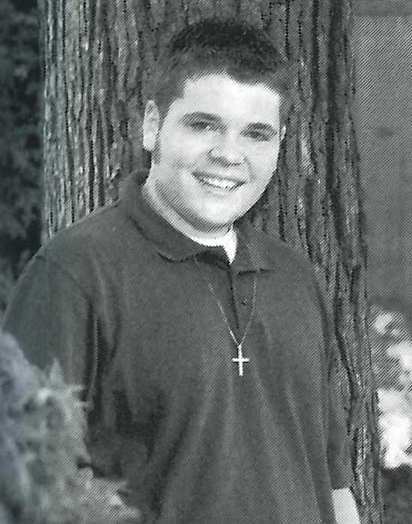 His 2004 LHS yearbook picture is shown at right. He earned his bachelor's decgree in Theology and German from Valparaiso University and his master of education degree in Leadership in Reading from the University of Sioux Falls. Matt taught on the Pine Ridge Indian Reservation and in Rapid City elementary school in western South Dakota. He also had the opportunity to open and direct the Lakeview Villages site while serving as one of the program directors at Lakeview Ministries. Matt met his wife, Jenn, when they were students at Valpo. 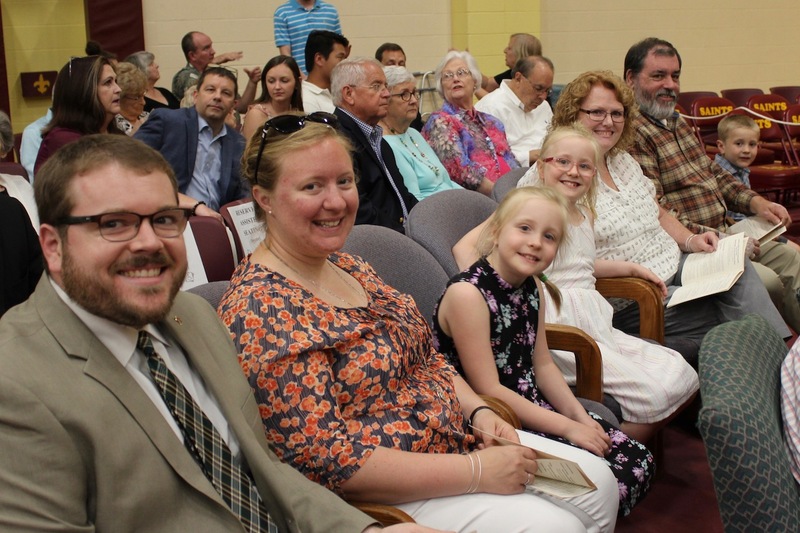 Matt and Jenn have three children, Kati, Elli, and Nate, who attend Trinity Lutheran School. Today Mr. Riley serves as principal for Trinity Lutheran School which, under his leadership, has made advancements in student achievement, enrollment, and school sustainability. It is an honor to see this graduate of Lutheran High School as a teacher who daily shares God's grace through word and action.